Buy ceiling fan with light. 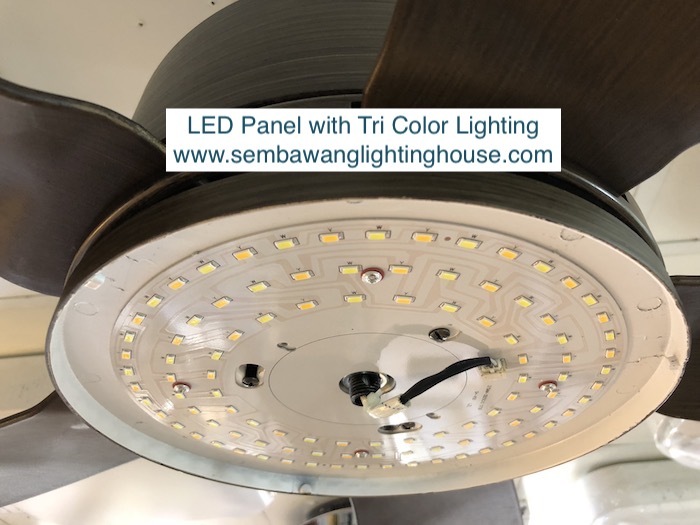 Nowadays many homes use ceiling fans with LED lighting. Since there is only 1 lighting point per room, many homeowners choose to use one ceiling fan in each room with the lighting installed below. The brightness 18-25W is bright for normal home use. Most of the ceiling fan with light come with flat panel nowadays. Advantages include slimmer/ more modern ceiling fan design and color change option (daylight, warm white, cool white). Some new ceiling fan even come with dimmer function. Wattage generally from 18W to 25W. All these wattage from 18W is suitable for room and reading use. We only use original brand led panels to ensure compatibility and reliability. E.g. Crestar fan with Crestar panel. Acorn fan with Acorn panel. 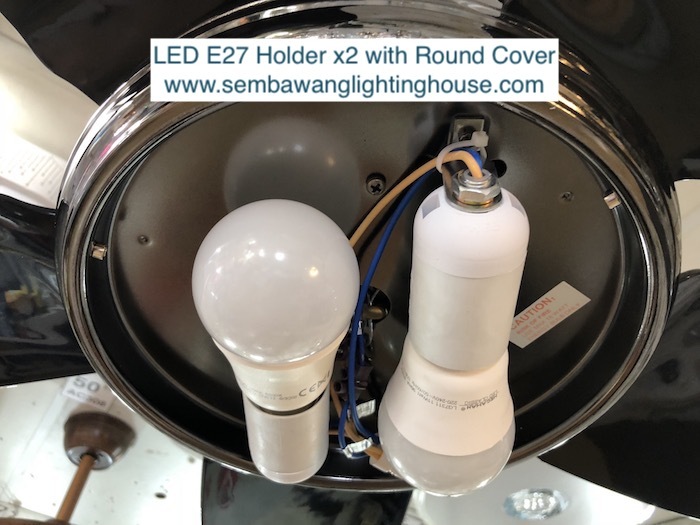 There are also some models that come with E27 holder that are good for LED screw bulbs. Such setup are easy to maintain, replace and available in different brands. The bulbs are easily available in normal hardware store, value dollar store and NTUC/ Giant. Examples include Crestar Rainlite, Samaire SA495, Samaire SA575, Acorn AC238, Fanco FFM2000, Fanco FFM4000, Fanco FFM6000 etc. Ceiling fans with light are the best way to brighten a room while also moving air around it. As long there is a lighting point, such ceiling fans can be installed. 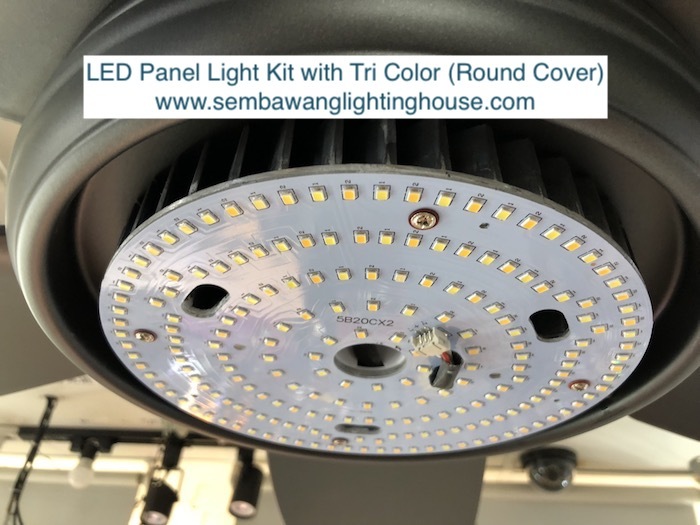 You can choose from traditional 3 shade pulling type of lighting or modern flat led tri color panels. Professional installation services available from $40 per fan. 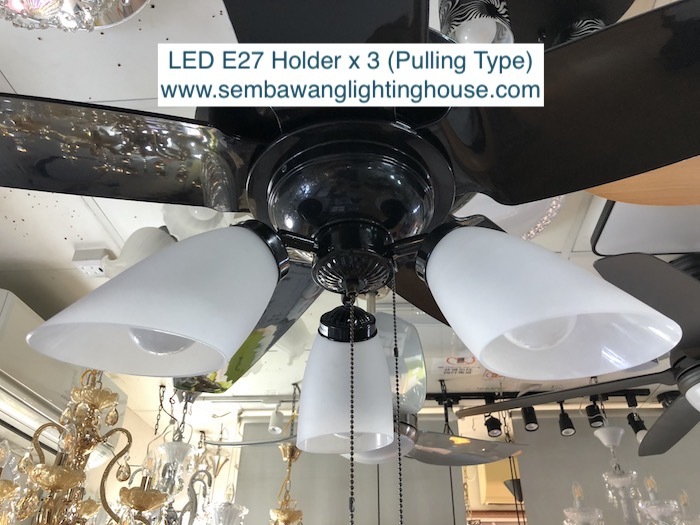 How to order Ceiling Fans with Lights? Email slh8888@hotmail.com to check for stock availability and arrange for delivery/ installation date.